It is time for new chalenge at Robyn's Fetish and this week's theme is Make Your Own Flowers. So fun! Our sponsor for this week is fabulous Milk Coffee Stamps 3 digis for a lucky winner. Знову настала неділя, а це означає, що на блозі Robyn's Fetish розпочинається нове завдання. І як дизайнер цього блогу я маю для вас нову роботу. Надихайтеся та приєднуйтеся! For my card I used Tiffany Playing Violin from the sponsor. I coloured it with copic markers. I used paper from Tim Holtz's shabby paper set. 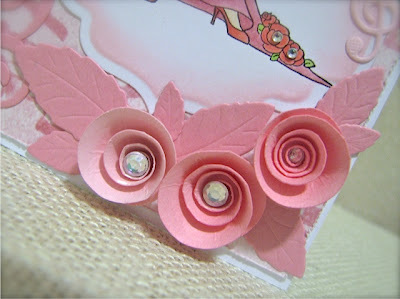 I used dies to cut a swirly border, flowers, leaves and notes. Я розмалювала штампик від спонсора маркерами копік. Папір узяла від Тіма Гольца. Завитки, нотки, квіти та листочки вирізані за допомогою різних ножів. And here's the close up of my flowers. Дякую, що завітали! Бажаю вам чудового дня! Beautiful card, your flowers are lovely Lilia. Such a pretty and elegant card Lilia !! 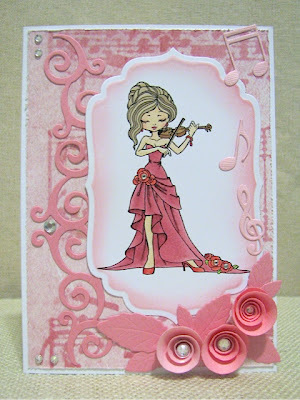 Stunning card, love the pink and the roses are so gorgeous! What a pretty, pretty card. Love those rolled roses! Thanks so much for joining CI Paints this week! Wonderful card. I really love the colors. 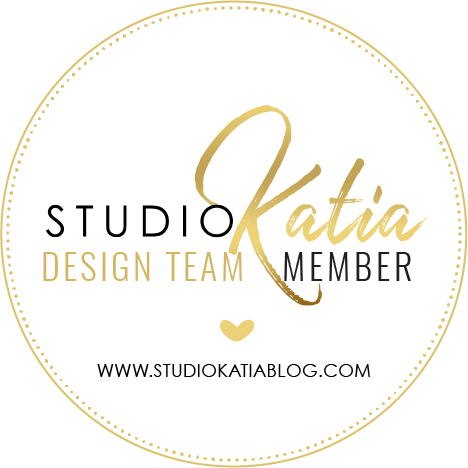 Fabulous use of the dies and awesome bling. Beautiful card. lovely design, fabulous colouring! Thanks for joining us at Hobbycutz this fortnight. 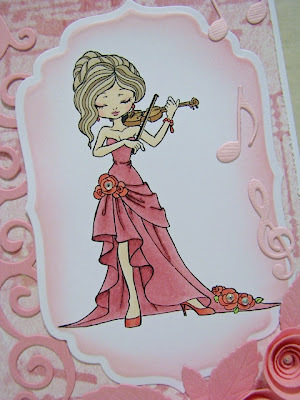 Hi Lilia , this is beautiful ,I love the music notes and all the little embellies. Such a pretty card! The felt flowers are gorgeous! Thanks for joining us at Great Impressions Stamps!